The 7 Spoke Cycle/Wheel of Time moves to 8. The wheel of time comes to a halt, the hourglass empty, the tale of the lion complete. The emotional burdens of time will now be released from the back of the man dressed in red (emotions, the physical plane). The peacock goes to ascension through the eye at the center of the Milky Way Galaxy, the eye. The hand of god, the scribe and the peacock control time. 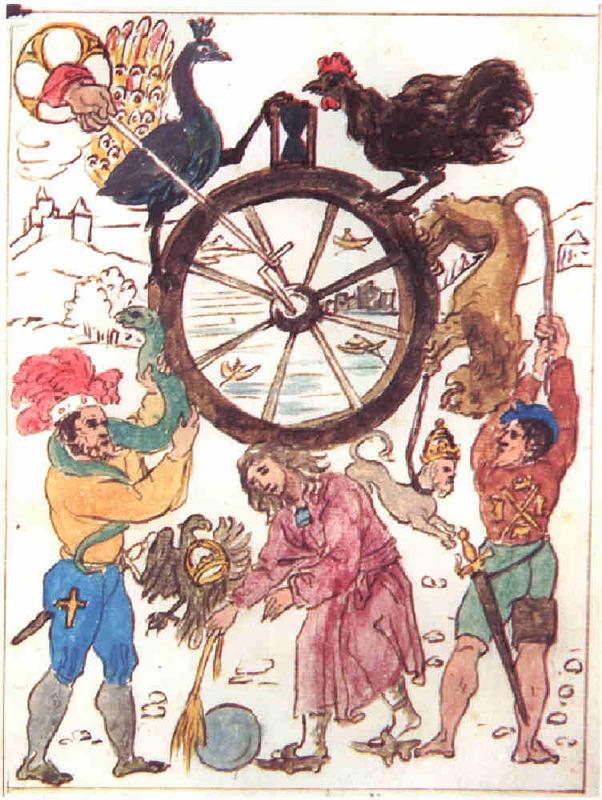 Inside the wheel we find Nostradamus’ New City or NYC where the UN (The Beast) is. It’s where events come to a full circle. The initial insert came out of the Middle East moved to the European continent, then swept across the global game board arriving in the Americas. July 4, 1776 – the “Beast” his program officially begins in the United States, the players destined to return to the Middle East for completion. When you’re looking at it from somewhere else, it all makes sense and you can see where it is all headed – you can become the Nostradamus of today.